I've been working on decorating my front porch and during that journey I discovered a wonderful resource of ideas and products at Country Porch World. Many of my first memories are from my Grandmother's front porch where the family gathered every evening after supper and the chores were all finished. That was back in the days before homes had air conditioning, the porch was cooler and just the obvious place for the family to gather. Sometimes neighbors would stop by for a chat to share news (gossip) about the small town we lived in. It was the social meeting place for the family but mostly it was just a comfortable place to be. That is the feeling I want for my front porch. A comfortable gathering space for my family and neighbors. Grandma always had a couple of rocking chairs on one end of the porch, a swing on the other end and several chairs dispersed in between. I don't have a good space for a swing but I do want at least two rocking chairs on my own porch. 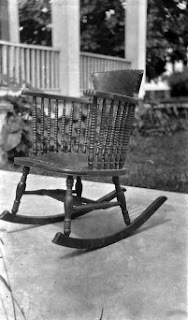 Country Porch World gave me some great ideas on how to place my rockers and a few products to consider in their article: Add a Rocking Chair Vignette. I like the way they explain about using cushions and throws which adds to the comfort in both eye appeal and the physical comfort of the people who will be sitting in the chairs. I, also, absolutely love the Jack Post Knollwood Classic rocker shown in the article. 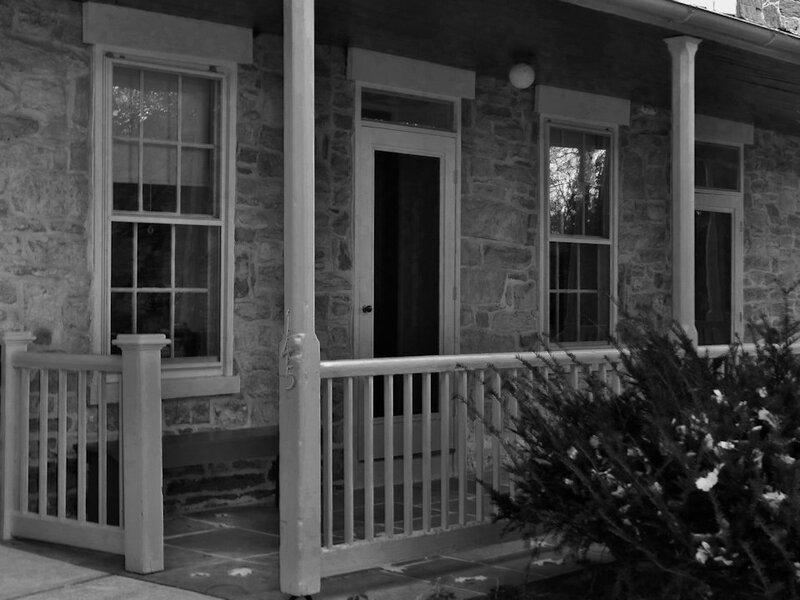 I believe that is where I will begin my decorating venture on my own porch, with two of those rocking chairs. I will probably crochet a couple of throws in colors that coordinate with the cushions that I choose. That will add to the warmth of the country look that I will be going for. Country Porch World goes beyond suggesting products for a country style porch with design element ideas, ideas for color schemes and so much more. I found their ideas quite helpful and inspiring. What I am going for on my own porch is an inviting place for people to gather and that can be accomplished with the ideas presented on the website. Adding little things like fabrics to tables, small accent pieces and other interesting things, just makes people want to go out to the porch and sit a spell. Even though Grandma had her porch set up out of necessity she nailed that comfortable and relaxing atmosphere for us all to enjoy and relax after a hard day. I don't know what it is about hearing wind chimes when there is a slight breeze in the air. I find it so appealing and calming. So, I do want at least one set of chimes on the porch. There are times when I would rather not hear the chimes, though. When the birds are singing in the trees or when I'm trying to concentrate on reading something; the chimes can be a little distracting. 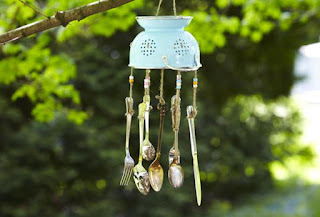 Country Porch World has a wonderful suggestion in their article about wind chimes! I would have never thought to do this but it makes so much sense. They suggest that you take an old elastic bracelet to wrap around the chimes when you want them silent. Now, how clever is that? Don't have a bracelet on hand? I think a large rubber band would work or even some twine. Choose something that is easily placed and removed when you want to silence your chimes. I have found so many wonderful ideas for decorating my porch at Country Porch World and I think you will enjoy it, too. Not only is it a place to find interesting products to decorate your porch, patio or deck in a country look but the articles about how to accomplish the feel of comfort and relaxation are very helpful. What a fabulous site review and I love all of your shared memories Bev! Many of us hold fond memories of the places in our childhood or past that stand out in our minds as our happy times and we would like to re-create the place and atmosphere. If we close our eyes and let the memories flood in when we are sitting in a rocker, situated perfectly on a porch, it is almost as if we have transported ourselves back to those days and are once again embracing our loved ones. Actually, that is exactly what we are doing, embracing our heritage, our family and our foundations. Oh, what a great site review. I love the way you shared your own memories and showed how you can incorporate the suggestions from the Country Porch site into your own decorating. Your review is most appreciated. Lovely review of a wonderful site. There's just nothing like that old-timey country porch. Brings back some special memories. 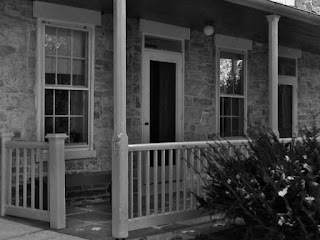 When I visited the Country Porch site, I discovered the site itself was welcoming and relaxing to look through. I was almost sorry I don't have a porch to decorate, since there were so many good suggestions. . I've visited the Country Porch site and just fell in love with it! We have three porches, one across the front of our house, then two on the back, one on each side of the kitchen. I NEED information just like this to learn how to turn our porches into inviting places to work, play, entertain and (especially) hang out. Great review of a wonderful site! wind chimes and rocking chairs..... wonderful! I feel the way you do about windchimes, the sound is so wonderfully calming.